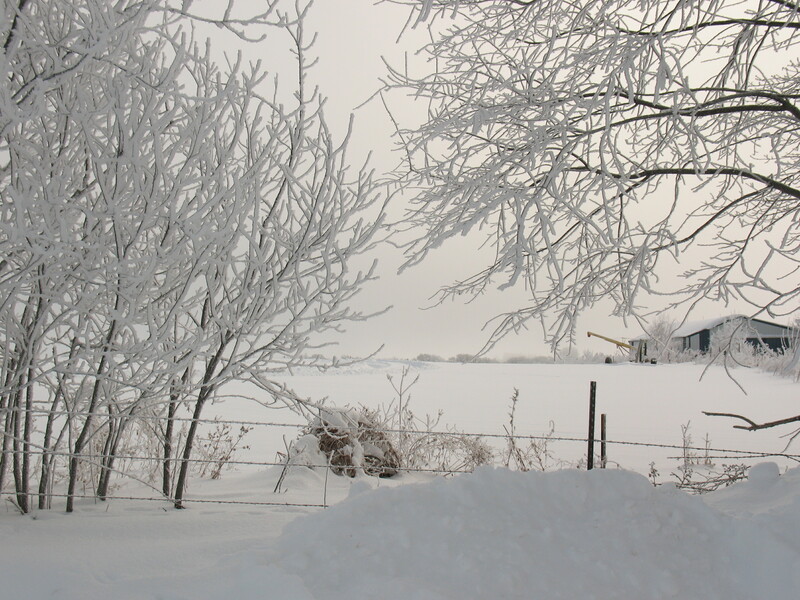 These are pictures from Iowa, Monday, December 27th. 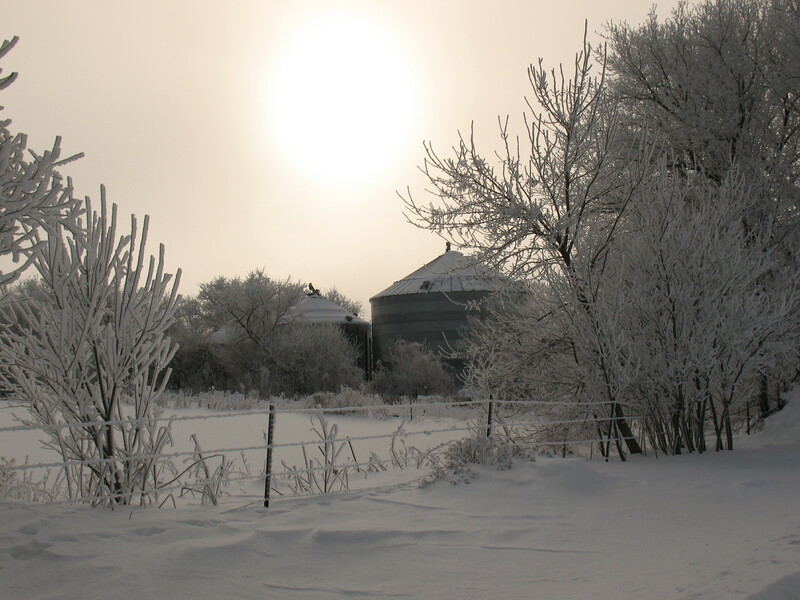 A hoarfrost had developed on the trees and plants that was quite striking and beautiful. 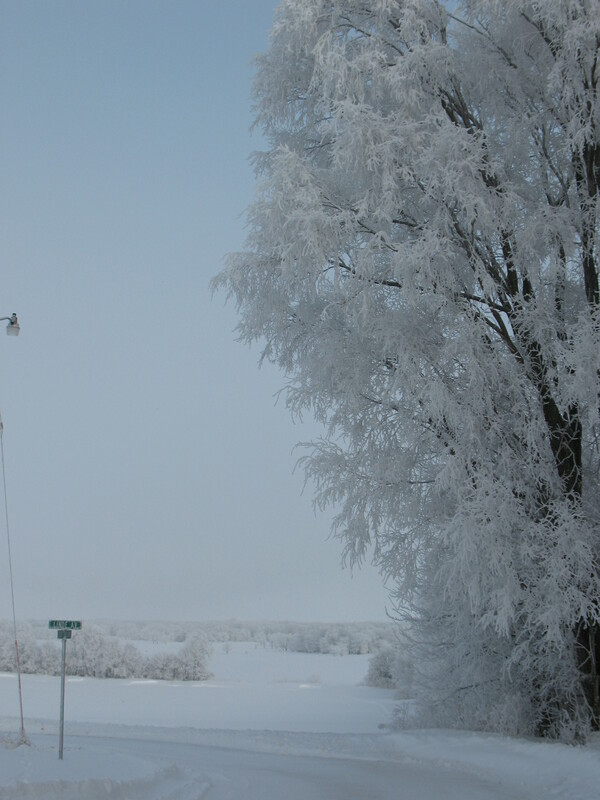 My family went for a brief walk ‘around the block’ later in the afternoon. I put ‘around the block’ in quotation marks, because I associate blocks with cities and this tiny Iowa town has a population of maybe 600 people. My two sisters are running at me in the last shot. I miss them a lot and wish we lived closer to each other, though we pick up with each other easily enough whenever we reunite. It was a time of good food & games and music. I received some nice gifts including some books (yay!). I also received the not-so-nice gift of a cold (thanks Dad! ), under which I am currently suffering. I came home on Tuesday night and worked on Wednesday and Thursday. I am very glad for the day off today, in which I can blow my nose, read and write blog posts, and laze around until a low-key New Year’s celebration at my cousin’s house tonight. 1910. Bantam. Paperback. 271 pages. 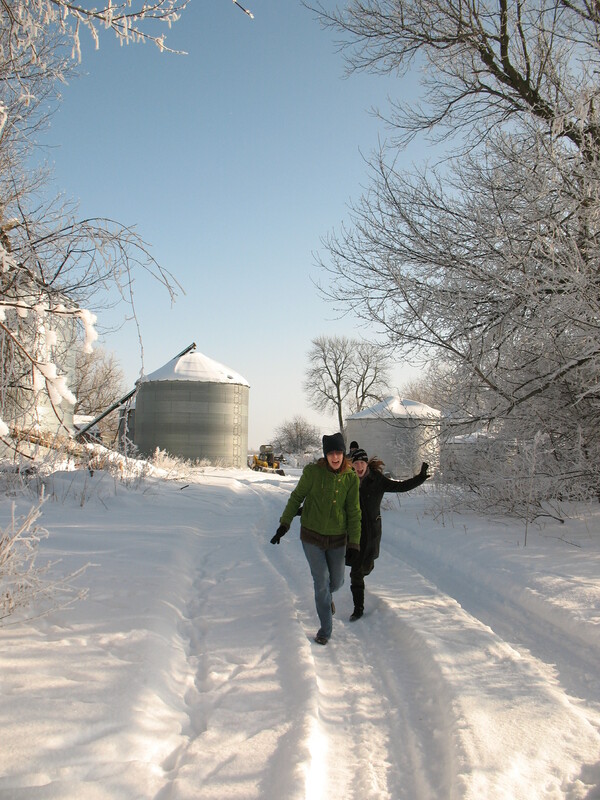 Helen and Margaret Schlegel are a pair of vibrantly intelligent sisters. They live comfortably in London, enjoying the arts and participating in intellectual discussions with like-minded friends and acquaintances. At the book’s start, Helen is visiting the Wilcox family at their home, Howards End. The Schlegels and the Wilcox family had become acquainted while both families were traveling in Germany. The Wilcoxes are very different from the Schlegels – more conventional and ‘practical.’ The two families seem fated to be intertwined, in ways that are unexpected and sometimes uncomfortable, as each family has suspicions about the ‘ways’ of the other family. I read E. M. Forster’s Where Angels Fear to Tread when I was a teenager, but hardly recall the experience. So Howards End almost feels like the first true read I’ve had of Forster. 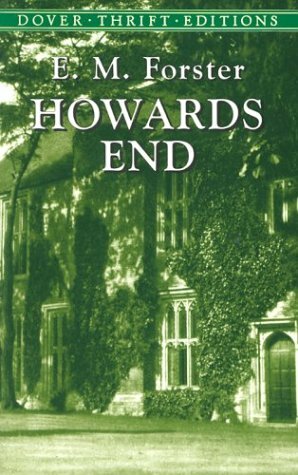 Although there is a definite plot in Howards End, its themes and writing were what I liked the most. I particularly resonated with Forster’s musings on belonging to a place. For the past five years, I have lived in several different dwellings and will likely move to a new one next year. I have some affection for my current apartment, but I dream of living – and staying – in a place that I love. Forster’s book thus struck a chord with me. When a move is imminent, furniture becomes ridiculous . . . Chairs, tables, pictures, books, that had rumbled down to them through the generations, must rumble forward again like a slide of rubbish to which she longed to give the final push and send toppling into the sea . . . We are reverting to the civilization of luggage, and historians of the future will note how the middle classes accreted possessions without taking root in the earth, and may find in this the secret of their imaginative poverty. The Wilcoxes seemed familiar to me. Margaret Schlegel thinks of the Wilcoxes, particularly the senior Mr. Wilcox, as having their “hands on the ropes.” It’s a recurring phrase meaning those who are ‘in the know’, who do not flounder for direction, but set off purposefully on a stable career or life path. And yet on the flipside, the Wilcoxes have no toleration or even understanding for the slightest eccentricity. 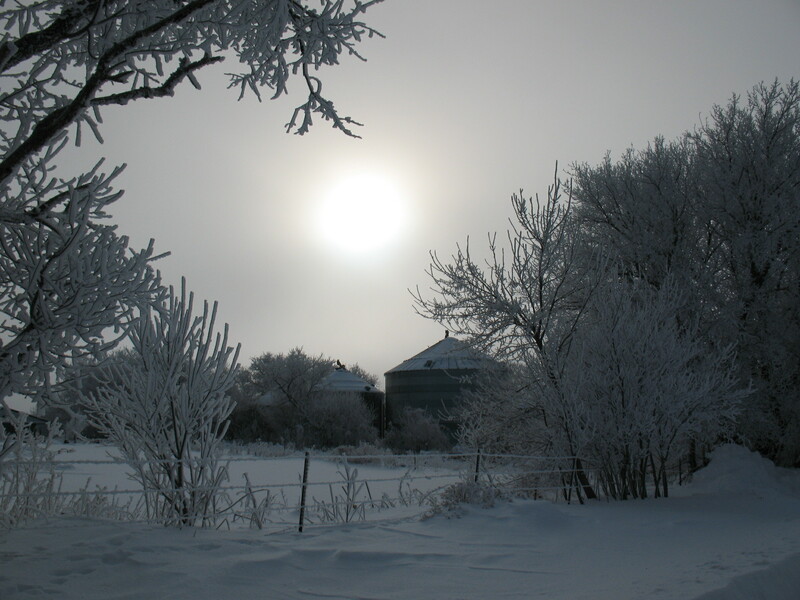 Margaret’s compassion for a child that has lost its pet is an emotional extravagance. The Schlegel sisters are judged to have read books that “suitable for men only.” Maybe I haven’t run into people with the latter opinion, but I’ve certainly encountered people who are startlingly judgmental about the most innocuous of oddities. The Schlegel sisters have their own follies of course. Margaret Schlegel gives in too much to her fiancee, for example, all the while thinking that each little surrender ‘doesn’t really matter’ and that her inner self remains untouched by these. But it’s the little things that whittle us away, of course. [Charles] and Dolly are sitting in deck-chairs, and their motor is regarding them placidly from its garage across the lawn. A short-frocked edition of Charles also regards them placidly, a perambulator edition is squeaking; a third edition is expected shortly. Nature is turning out Wilcoxes in this peaceful abode, so that they may inherit the earth. I know there is a film adaptation with Helena Bonham Carter and Emma Thompson, that I would be interesting in seeing. It would be missing Forster’s writing and commentary but I’d be interested in how the filmmakers and cast interpret the characters, as my impressions of them in the book were quite changeable. Of course, I’m stashing away some books to read – books from the most recent Library Loot post as well as Rosy Thornton’s Tapestry of Love, which I received from the author a few weeks ago (yay!). I hope to be back and posting on December 29th. I have a number of unreviewed books including E. M. Forster’s Howards End and Jeannette Walls’ Half-Broke Horses. I also have in mind Search Bonanza Part 2 and some sort of 2010 wrap-up post. Until then, it will continue to be quiet on the blog. So, for all who will be celebrating the holiday this Saturday, a Merry Christmas to you! Happy holidays and happy reading! I should thank Nicki of Fyrefly’s Book Blog for two things: one is her awesome customized Book Blog Search Engine which I use to find other bloggers’ quotes for my reviews. The other is her semi-regular posts of her blog’s more unusual search terms, accompanied by hilarious responses to each. This is her most recent such post. For non-bloggers and non-Wordpress bloggers who may not know, the WordPress statistics show bloggers – among other things – what search terms have led people to your blog. I liked Fyrefly’s posts so much that I have been collecting odd and interesting search terms all year, so that I may post the ‘best’ ones in a year-end bonanza post. As I’ve accumulated quite a few, this will just be one part. – On a movie discussion board I used to frequent, posters would sometimes made lists such as “great movies to watch while you’re high”. I haven’t seen a literary equivalent, but I’m not sure The Guernsey Literary and Potato Peel Pie Society would be the obvious choice for such a list. – That one is for Frankenstein, which remains a very popular subject for my blog’s search terms. what did frankenstein in cemeteries? – For some reason, the mix of bad grammar and the question framing always makes the Frankenstein queries sound childlike and plaintive, as if the student is really concerned about why the creature never received a name. – I’ll put this one to you, fellow bloggers. What books would you recommend to Frankenstein (or his creature, who read books while hiding)? – Bridget’s toothbrush tells all. – This may be a case where you’d judge a book by its cover. Is ‘irsish’ what you call tax collectors from the Emerald Isle? – If you take a certain crunchy candy bar and Edwidge Danticat’s book and mix it together you get this. – I don’t even know what to speculate on with this one. – I am impressed, especially as the book’s cover didn’t even have those upside-down punctuation marks. More search terms to come on a later post . . .
It’s been a long time since I have done a Library Loot post, though I have certainly been using the library often. Library Loot is a meme hosted by Marg of The Adventures of an Intrepid Reader and Claire of The Captive Reader. I had a few holds come in this past Saturday and then picked up a couple of interlibrary loans and one book from the shelf today. 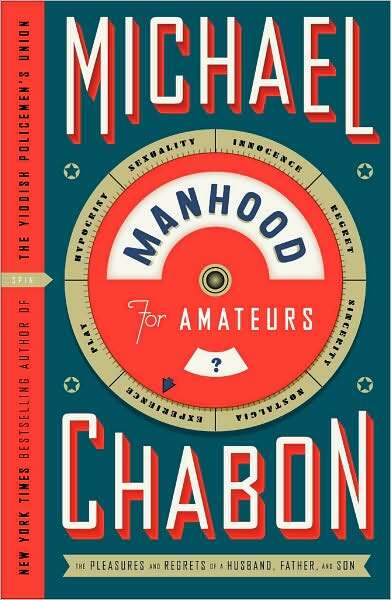 Manhood for Amateurs by Michael Chabon – I really liked Ayelet Waldman’s book Bad Mother that I read earlier this year. It made me curious to read her husband’s book about parenthood. This will also be my first book by Chabon. 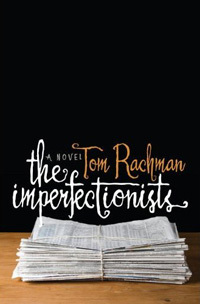 The Imperfectionists by Tom Rachman – After seeing some buzz about The Imperfectionists, I added myself to the hold list months ago and now I have it – yay. This novel is about a small English-language newspaper and the people who work for it. I am intrigued by books that focus on people-at-work and that aren’t mysteries or thrillers, where that focus is commonplace. 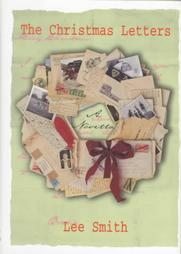 The Christmas Letters by Lee Smith – I love Smith’s book Fair and Tender Ladies, and I also enjoyed Black Mountain Breakdown. When I heard about this book from Letters from a Hill Farm, I leapt at the chance to read something seasonal by an author I trust. 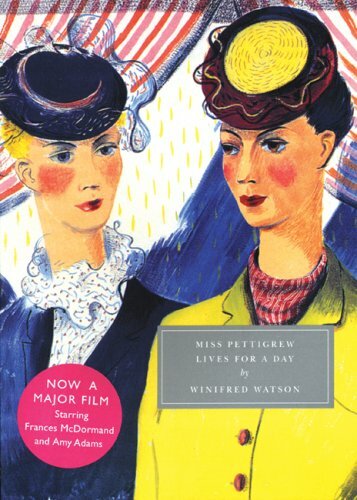 Miss Pettigrew Lives for a Day by Winifred Watson – I really enjoy the film adaptation of this book, and am looking forward to reading the original source material! Ideally, I was going to have Major Pettigrew’s Last Stand checked out at the same time (for a challenge), but alas, the hold list for that book is very long. 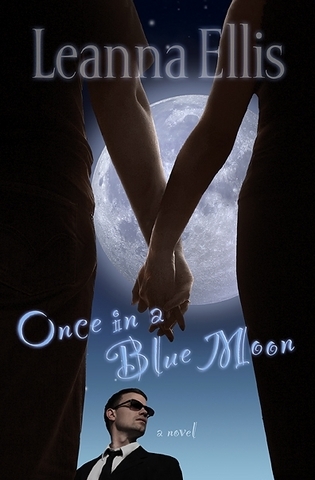 Once in a Blue Moon by Leanna Ellis – I used to read Christian fiction a lot when I was younger and, to put it simply, I burnt myself out on them. However, now and then, I will make forays into the genre again. In Ellis’ book, a reporter meets an old conspiracy theorist while doing a feature on the moon landing anniversary. Turns out the old man also knew her mother, who died mysteriously when the reporter was born. The Best Travel Writing 2008: True Stories from Around the World – I decided to pick up a book of travel essays while at the library. I have read two books from the Best American Travel Writing series, but haven’t read from this series yet. Bonus: introduction by Sara Wheeler, who is a travel writer I admire. 2008. Viking. Hardcover. 372 pages. I had enjoyed Brooks’ Year of Wonders (except for the ending), and when one of my cousins suggesting reading People of the Book as part of a Facebook book club, I got on board. As with Year of Wonders, Brooks’ level of historical detail is fascinating. The book follows the history of a beautiful illuminated book, starting with its rescue in 1994 Sarajevo and going back to 15th century Spain. My favorite section was that of Ruti Ben Shoushah in Tarragona 1492. While the book’s survival is a story of triumph, the stories of the “people of the book” are fairly grim. The clash of religions is in the foreground, and the persecution of Jews throughout European history. The framing story is that of an Australian conservator who has been called in to analyze and delicately repair the beautiful book. 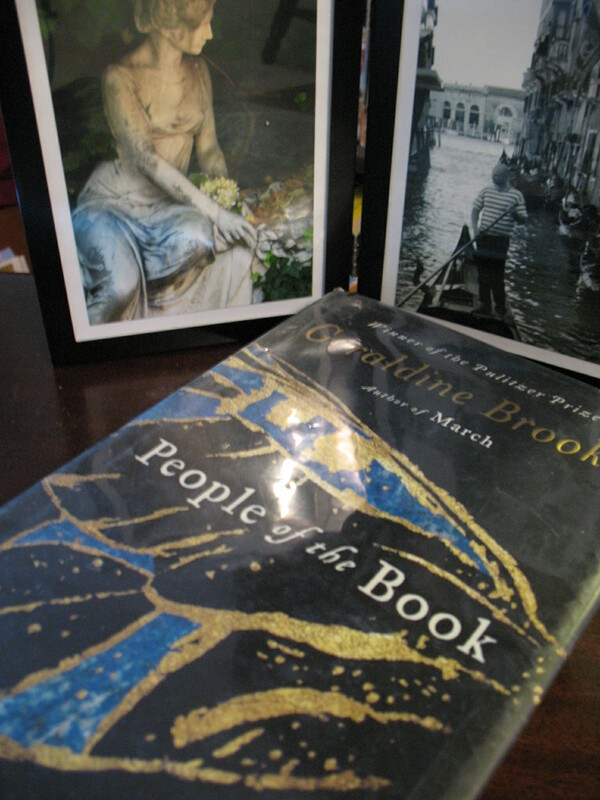 People of the Book is pleasing in an intellectual way, with its careful renderings of times past. The main ‘character’ is the book and it’s the people who are transient, briefly illuminated by their contact with the book and then fading out of view. 2009. DC Comics. Hardcover. 264 pages. My brother-in-law, who reads graphic novels more than I do, recommended this series to me a long time ago. 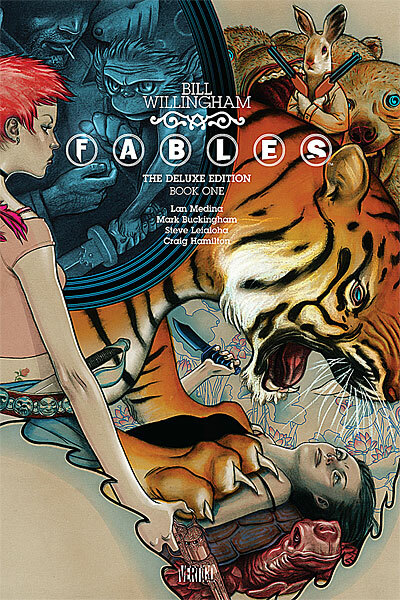 I’ve since seen the Fables series and spinoffs reviewed around the blogosphere. This deluxe edition is a compilation of two volumes, each with five chapters: Legends in Exile and Animal Farm. The concept is immediately intriguing: characters from fables and fairytales have fled their homelands and set up a community (Fabletown) in New York City. Old King Cole is presiding mayor of the community, with a steely Snow White doing most of the work behind-the-scenes. Some of the animal-characters have changed into human form, such as the Big Bad Wolf, and those who can’t must live upstate out of the view of normal humans (the “mundanes”). Fables uses this concept for all its worth. It’s a lot of fun seeing familiar characters transformed by their new setting, and also seeing how their lives have played out since the happy-ever-after. Snow White and Prince Charming have long since divorced. Goldilocks is a militant gun-toting radical. Jack (of the Beanstalk) is still making foolish gambles with money. The story panels offer a good mix of humor and tension, as well as complexity. I loved the illustrations by James Jean that started off each new chapter. I’ve already requested Volume #3 Storybook Love through interlibrary loan. 2009. Scholastic. Hardcover. 391 pages. 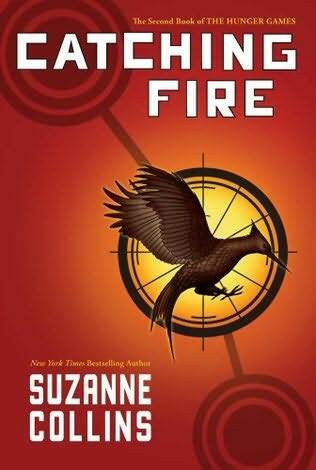 I raced through Hunger Games‘ sequel almost as fast as I’d read through that first book. Collins knows how to ratchet up the tension and raise the stakes. Also, I love how distinct even the minor characters are. I’m a big fan of Cinna, Katniss’ subversive and masterful designer from the Capitol. Collins also knows how to leave you on a cliff-hanger! I am regrettably number 200-something on the waiting list for the last of the trilogy, Mockingjay. I’m banking on the other library patrons reading through it as fast as I’ve read these first two books. As I wade into December with read, partly read, and unread books crowded around my feet and in my bookcase and in my closet . . . I’m thinking about all the lovely books I discovered this year, and anticipating what bookish discoveries will be made next year. It’s been a little over a year since I first started blogging (I can’t believe I forgot to do a one-year anniversary post in November!). As a newbie book blogger, I had little restraint when it came to joining reading challenges. As of today, at least, I do not have plans to join any new challenges for 2011, except maybe RIP around Halloween-time. I do not regret joining challenges this year as I read lots of wonderful books as a result. However, just like one may let a field run fallow for a year before using it again for planting, I think I need to have next year be one less ‘guided’ and more subject to whim. I am not completely without plans, however. Plan #1: I plan to continue reading books from the list I created for my personal challenge: Read 19 Books Older than Myself. I actually have read nine off that list (Howard’s End to-be-reviewed). Add to that, I read six other books this year that are older than I am: The Dud Avocado, The Summer Book, Kindred, Black Mountain Breakdown, The Haunting of Hill House, and The Inimitable Jeeves (on audio). So even though I will not complete my challenge by the end of this year, I am thrilled by the amount of ‘older’ books I have added to my reading diet. Plan #2: I will deliberately build a niche in reviews of travel writing. You may or may not know that I have a special fondness for travel writing. These include books like Susan Jane Gilman’s riveting Undress Me in the Temple of Heaven (her 1986 travels in China) and the Best American Travel Writing essay anthologies. I want to explore this genre more thoroughly next year, for my own pleasure and also because I have aspirations of being a sort of blogger-ambassador for the genre. Plan #3: Read more books from authors around the world and from people of color. Certainly, there are wonderful challenges out there that will doubtless provide me with some great titles to check out, but I do not want to formally join a challenge. This goal is definitely inspired/encouraged by blog posts from Eva (A Striped Armchair) and a recent blog post from Raych (books i done read) reminded me again of why I want to diversify my reading.